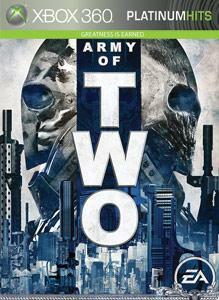 In ARMY OF TWO™, team up with a partner in this exclusive, multiplayer-only demo for Xbox LIVE Marketplace to become the deadliest two-man military outfit a government can buy. Tackle missions using two-man tactics to ultimately create a force that no enemy can withstand. Commit acts of severe aggression to boost your Aggro level and gain a powerful strategic tool to affect the battle in real time. Take advantage of two-man strategies like customizable two-man weapons, vehicles, and tactical shooting. If you’re going to survive, you’ll have to bring down a vast conspiracy in which the line between ‘good guys’ and ‘bad guys’ has been obliterated. Some multi-player functionalities may no longer be supported.